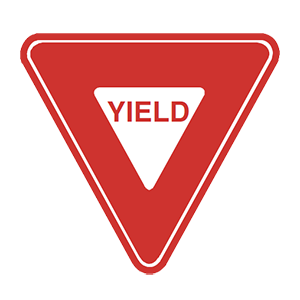 A triangular red and white sign indicates that you must yield the right-of-way. When driving on state roads, the speed limit is 55 miles per hour. If a different speed limit is posted, follow the posted speed limit. The speed limit in a school zone is 15 mph. 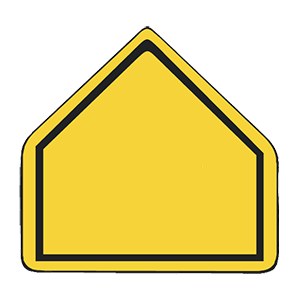 Drive with extra caution when driving where children or other pedestrians may be present.